Two years ago, I started getting so much inventory of all different kinds of items. We had the basics of flour, sugar, cocoa powder, baking soda, baking powder and choco chips. Then came the different kinds, sort of things you used once a month or less, like corn meal, semolina, liqueurs, food dye, raisins, etc. Then of course, when I sold my items, I had tons and tons of packaging left behind, along with the cling wrap, boxes and plastic packagings. Whew. Ang dami. So my mom alloted me my own “pantry” area. I keep everything there. Random items, random stuff, and even random things that other people put in. It is quite a mess. I can still be neater, but any more than the usual is useless because really, who has the time to fix stuff like that everyday? I decided to evaluate the contents of my pantry since it’s my choices why the stuff are there in the first place. I had mostly nonfood inventory on the first layer. So can that be excused? 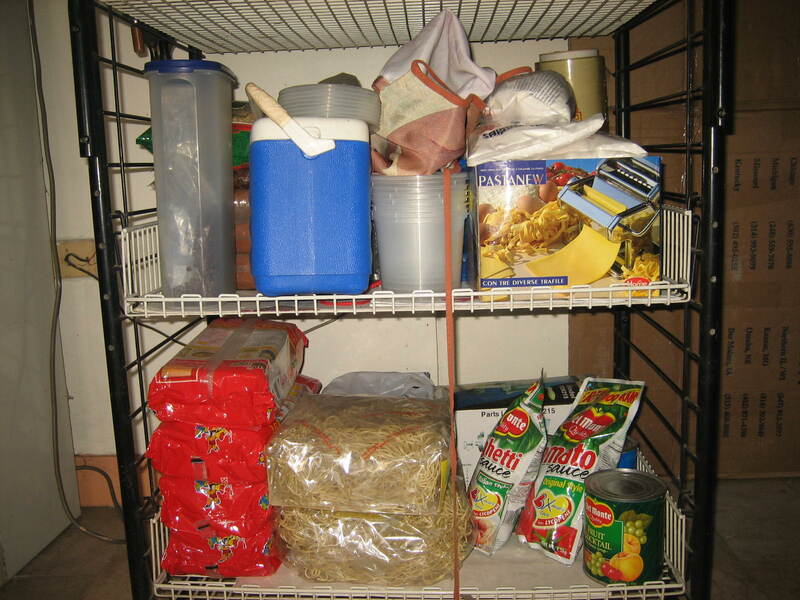 Plastics, boxes, some food stuff that was placed there for convenience (no more space!) and my cracked weighing scale. 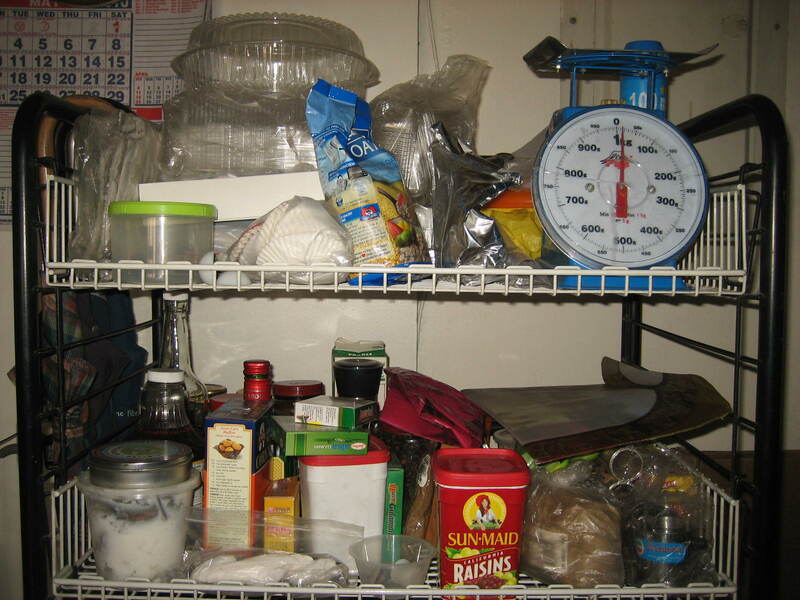 Second is mostly food with shortening, cornmeal, raisins, coffee for brewing, citron, sesame seed dressing, epsom salts, plus tray liners, Viet coffee makers and pepper grinder. It’s not that bad, is it? Third layer has Jarell’s cooler, some giant cling wrap, chocolates in the tupperware, some pasta at the back, more food containers (supposedly for ice cream) and below are more of the usual household inventory like Longkow sotanghon, some pancit canton, spaghetti sauces and fruit cocktail. Do you think that’s a lot? You should see our whole household inventory.